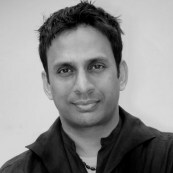 Gavin Fernandes joined Middlesex University as a Senior Lecturer in autumn 2011 and currently contributes to the undergraduate programmes BA Honours Fashion Communication and Styling and BA Honours Photography. Gavin previously lectured part-time at London College of Fashion where over a period of thirteen years saw a selection of his students emerge as graduates to become successful creatives in the fashion communication industries - these include current fashion stylists and editors Anna Treveylan, Anders Sølvesten-Thompson, Jack Borkett and Dan May; fashion PR owner Ella Dror; fashion photographers Matt Irwin, Angelo Pennetta, Sean and Seng, Neil Bedford, Ben Morris, Nadia Lee Cohen and Kasia Wozniak, and photographer/film makers Laurence Ellis and Paul Gore. Gavin's own professional practice is creative fashion direction in which he incorporates both his own fashion styling and photography disciplines to encompass complex and provocative socio-political discussions around themes of cultural identity, religion, feminine empowerment and gender. His visual narrativesMonarchs of the East End and Empire Line were presented as solo-exhibitions at Maison Des Arts de Creteil, Paris, 2007, at Rich Mix Cultural Foundation, London, 2007 and at Maison Folie, Wazemmes, Lille, 2006. Other creative outputs have been exhibited in London at the Victoria and Albert Museum; Whitechapel Art Gallery; The Photographers' Gallery; Institute of Contemporary Arts; Royal Academy of Arts; Barbican Centre; National Maritime Museum; Museum of London and at the Harris Museum in Preston, UK. A series of styled outfits commissioned by the Victoria and Albert Museum in 1993 was acquired into the permanent Street Style archive of the museum's Textile and Dress collection. His photographic work is also held in the Harris Museum's Photography and New Media permanent collection, acquired in 2011. Work from his MA degree in Fashion Photography at London College of Fashion was selected by The Photographers' Gallery, London for their inaugural group show, freshfacedandwildeyed08 in 2008. He also received a special commission from the gallery to contribute a portrait to the off-site photography project The World in London, a public art exhibition displayed in Victoria Park, east London and central London's Oxford Street which coincided with the London 2012 Olympic Games. His images have been featured in selected international books, academic journals, newspapers and periodicals that have included Dazed & Confused; i-D; Tank; The Observer; The Guardian and The Independent. He was co-editor and photographer for the seminal book Unclasped: Contemporary British Jewellery by Black Dog Publishing. A portfolio of his images is featured as a dedicated chapter in the book British Asian Style: Fashion and Textiles/Past and Present by V&A Publishing, 2009. Contributions of his archival images, together with newly commissioned styling and photography work, appear in The Sustainable Fashion Handbook edited by Sandy Black, published by Thames & Hudson in 2012.